This isn’t entirely what it looks like. While in this picture it looks like the Buzzard is chasing the Crow it was actually the other way around. 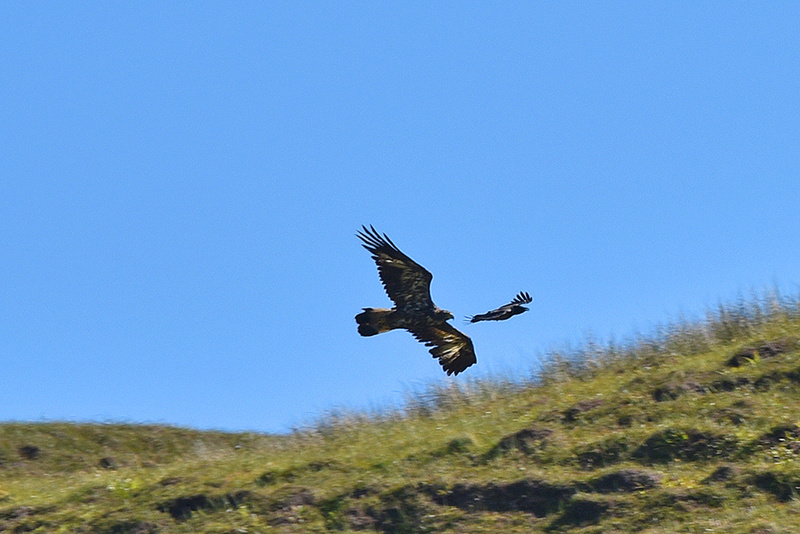 I watched these two on a walk to Lossit Bay for probably at least 10 minutes, the Buzzard clearly had a very bad day. This entry was posted in Landscape, New Post, Sunny Weather, Wildlife and tagged Buzzard, Islay by Armin Grewe. Bookmark the permalink.